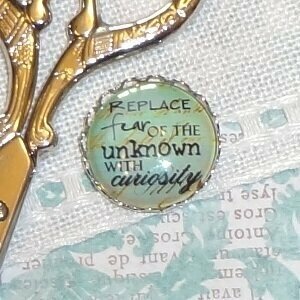 Tiny, but powerful little magnets will hold anything metal, from needles on a scroll frame to refrigerator art. 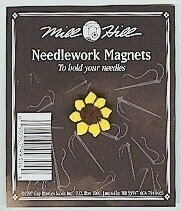 Each set works great as miniature 'chaser magnets' to hold your needle on small projects. 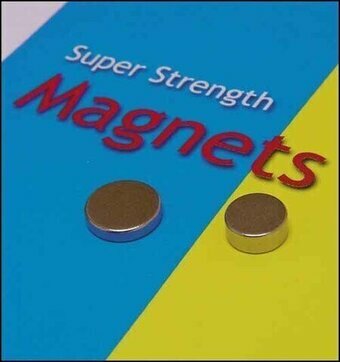 Sold packaged with two sets of two magnets in each package. One set measures .25" x .10 thick and the other set measures .31" x .63" thick. 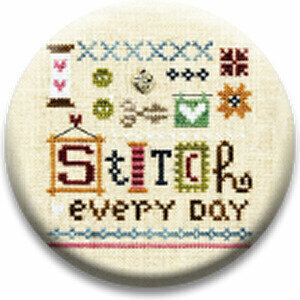 Cute little magnetic Needle Nanny made especially for Lizzie Kate's "A Little Stitch". 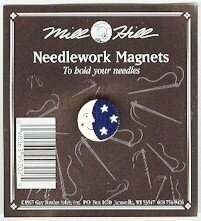 The magnetic back is removable, which allows it to be worn as a pin, and the powerful magnetic surface acts as a needle minder to keep your needles and scissors firmly in place while you work. Measures 1". 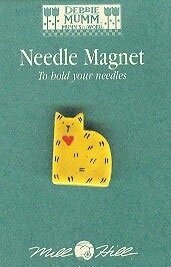 Cute little magnetic Needle Nanny made especially for Lizzie Kate's "Dogs Leave Paw Prints". 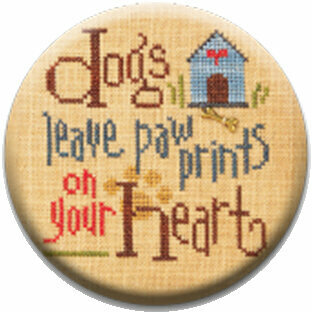 Features the sentiment "dogs leave paw prints on your heart". 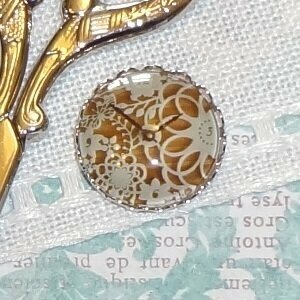 The magnetic back is removable, which allows it to be worn as a pin, and the powerful magnetic surface acts as a needle minder to keep your needles and scissors firmly in place while you work. Measures 1". 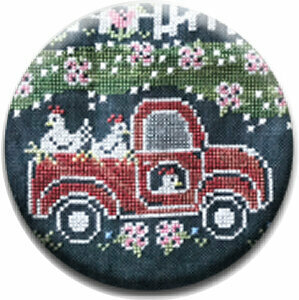 Cute little magnetic Needle Nanny made especially for Hands on Designs's "Fresh Eggs Farm - Chalk on the Farm". 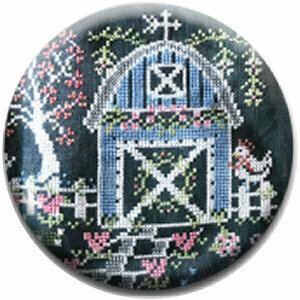 The magnetic back is removable, which allows it to be worn as a pin, and the powerful magnetic surface acts as a needle minder to keep your needles and scissors firmly in place while you work. Measures 1". 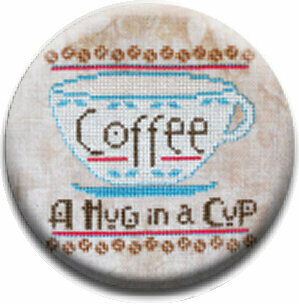 Cute little magnetic Needle Nanny made especially for Lizzie Kate's "A Little Coffee". 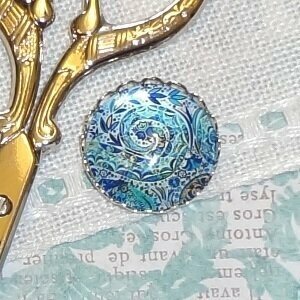 The magnetic back is removable, which allows it to be worn as a pin, and the powerful magnetic surface acts as a needle minder to keep your needles and scissors firmly in place while you work. Measures 1". 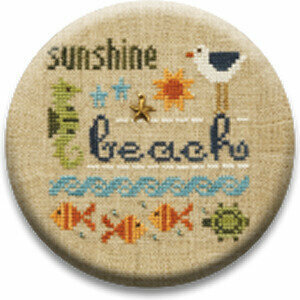 Cute little magnetic Needle Nanny made especially for Lizzie Kate's "A Little Beach". 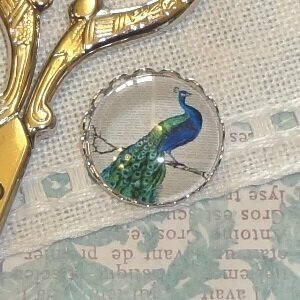 The magnetic back is removable, which allows it to be worn as a pin, and the powerful magnetic surface acts as a needle minder to keep your needles and scissors firmly in place while you work. Measures 1". 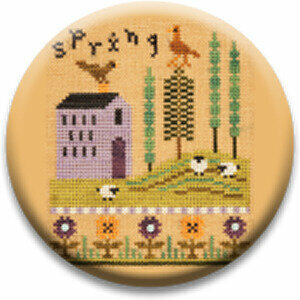 Cute little magnetic Needle Nanny made especially for Lizzie Kate's "Spring - 4 Seasons Flip-it". 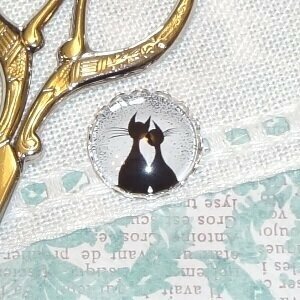 The magnetic back is removable, which allows it to be worn as a pin, and the powerful magnetic surface acts as a needle minder to keep your needles and scissors firmly in place while you work. Measures 1". 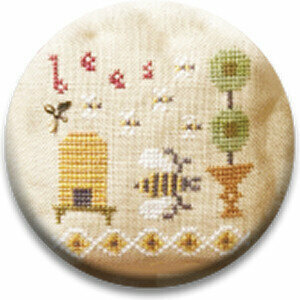 Cute little magnetic Needle Nanny made especially for Hands on Designs's "Irony (Laundry Company 3)". 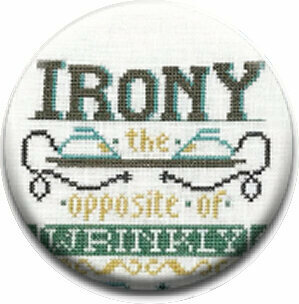 Features the sentiment "Irony: the opposite of Wrinkly". The magnetic back is removable, which allows it to be worn as a pin, and the powerful magnetic surface acts as a needle minder to keep your needles and scissors firmly in place while you work. Measures 1". 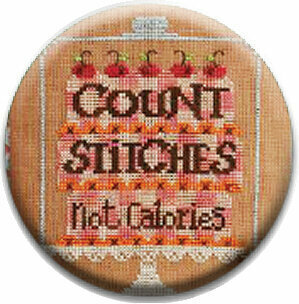 Cute little magnetic Needle Nanny featuring a cake and the sentiment "count stitches not calories". 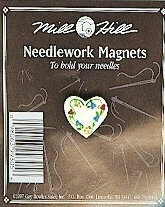 The magnetic back is removable, which allows it to be worn as a pin, and the powerful magnetic surface acts as a needle minder to keep your needles and scissors firmly in place while you work. Measures 1". 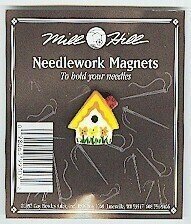 Cute little magnetic Needle Nanny made especially for Hands on Designs's "Hugs in a Cup". 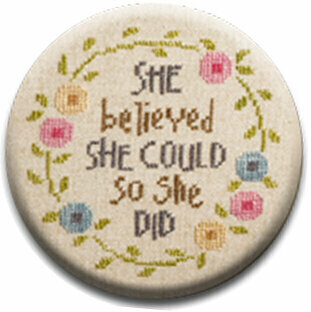 The magnetic back is removable, which allows it to be worn as a pin, and the powerful magnetic surface acts as a needle minder to keep your needles and scissors firmly in place while you work. Measures 1". 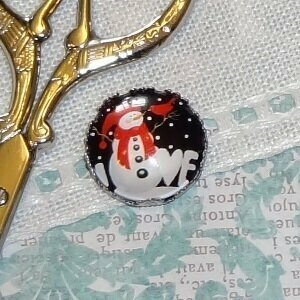 Cute little magnetic Needle Nanny made especially for Hands on Designs's "A Whole Latte Love". The magnetic back is removable, which allows it to be worn as a pin, and the powerful magnetic surface acts as a needle minder to keep your needles and scissors firmly in place while you work. Measures 1". 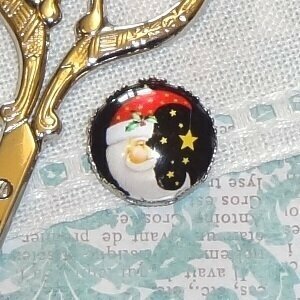 Cute little magnetic Needle Nanny made especially for Lizzie Kate's "Dear Santa, I've Been Good". 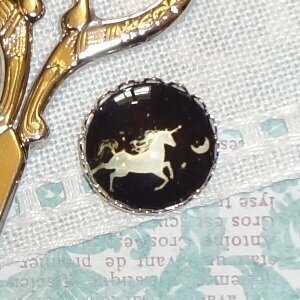 The magnetic back is removable, which allows it to be worn as a pin, and the powerful magnetic surface acts as a needle minder to keep your needles and scissors firmly in place while you work. Measures 1". 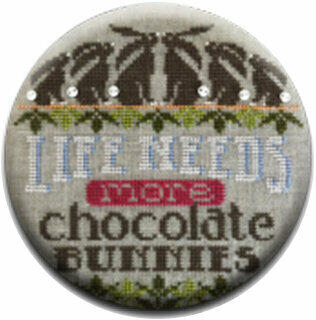 Cute little magnetic Needle Nanny made especially for Hands on Designs's "More Chocolate Bunnies". 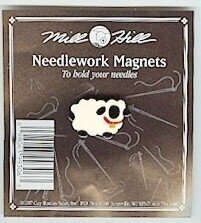 The magnetic back is removable, which allows it to be worn as a pin, and the powerful magnetic surface acts as a needle minder to keep your needles and scissors firmly in place while you work. Measures 1". 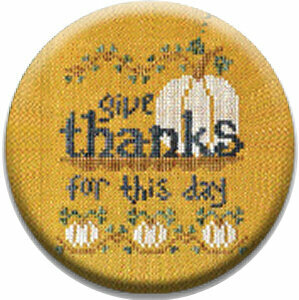 Cute little magnetic Needle Nanny made especially for Hands on Designs's Thanksgiving "Give Thanks". The magnetic back is removable, which allows it to be worn as a pin, and the powerful magnetic surface acts as a needle minder to keep your needles and scissors firmly in place while you work. Measures 1". 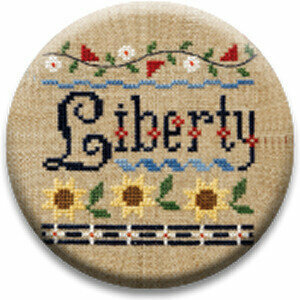 Cute little magnetic Needle Nanny made especially for Lizzie Kate's "A Little Liberty". The magnetic back is removable, which allows it to be worn as a pin, and the powerful magnetic surface acts as a needle minder to keep your needles and scissors firmly in place while you work. Measures 1". 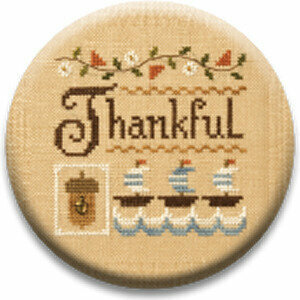 Cute little magnetic Needle Nanny made especially for Lizzie Kate's "A Little Thankful". 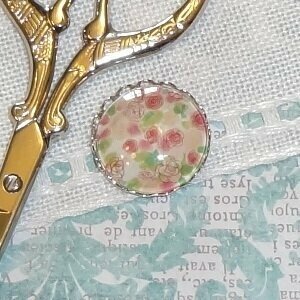 The magnetic back is removable, which allows it to be worn as a pin, and the powerful magnetic surface acts as a needle minder to keep your needles and scissors firmly in place while you work. Measures 1". 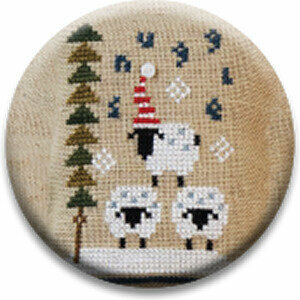 Cute little magnetic Needle Nanny made especially for Lizzie Kate's "Winter Smalls". The magnetic back is removable, which allows it to be worn as a pin, and the powerful magnetic surface acts as a needle minder to keep your needles and scissors firmly in place while you work. Measures 1". 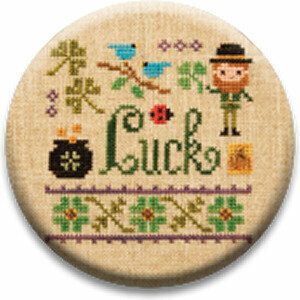 Cute little magnetic Needle Nanny made especially for Lizzie Kate's "A Little Luck". The magnetic back is removable, which allows it to be worn as a pin, and the powerful magnetic surface acts as a needle minder to keep your needles and scissors firmly in place while you work. 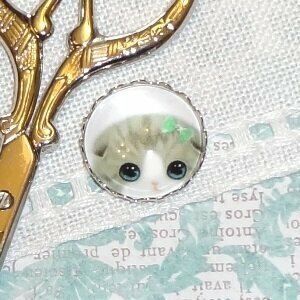 Measures 1". Cute little magnetic Needle Nanny made especially for Lizzie Kate's "Summer Smalls". The magnetic back is removable, which allows it to be worn as a pin, and the powerful magnetic surface acts as a needle minder to keep your needles and scissors firmly in place while you work. Measures 1". 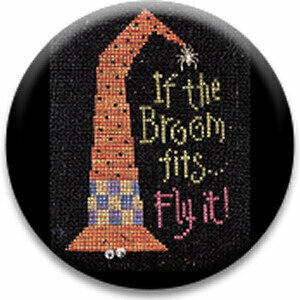 Cute little magnetic Needle Nanny made especially for Lizzie Kate's "If the Broom Fits". The magnetic back is removable, which allows it to be worn as a pin, and the powerful magnetic surface acts as a needle minder to keep your needles and scissors firmly in place while you work. Measures 1". 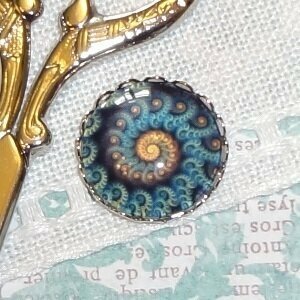 Cute little magnetic Needle Nanny made especially for Hands on Designs's "Anchor Down - To the Beach 7". 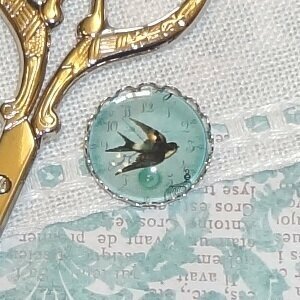 The magnetic back is removable, which allows it to be worn as a pin, and the powerful magnetic surface acts as a needle minder to keep your needles and scissors firmly in place while you work. Measures 1". 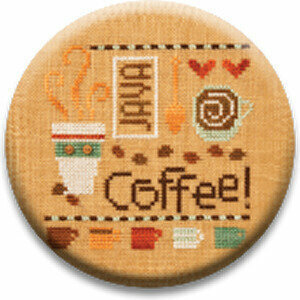 Cute little magnetic Needle Nanny made especially for Hands on Designs's "Coffee and Friends". 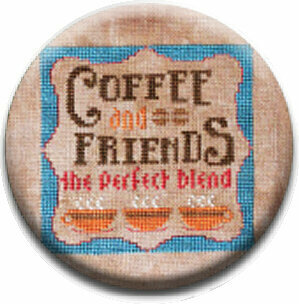 Features the sentiment "Coffee and Friends: the perfect blend". The magnetic back is removable, which allows it to be worn as a pin, and the powerful magnetic surface acts as a needle minder to keep your needles and scissors firmly in place while you work. Measures 1". 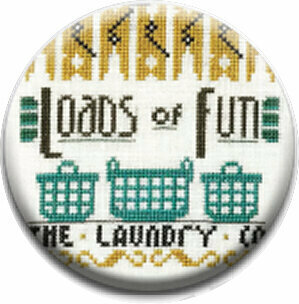 Cute little magnetic Needle Nanny made especially for Hands on Designs's "Loads Of Fun (Laundry Company 2)". The magnetic back is removable, which allows it to be worn as a pin, and the powerful magnetic surface acts as a needle minder to keep your needles and scissors firmly in place while you work. Measures 1". 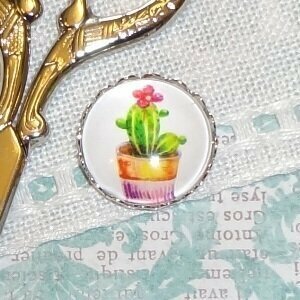 Cute little magnetic Needle Nanny made especially for Hands on Designs's "My Cups Runneth Over". 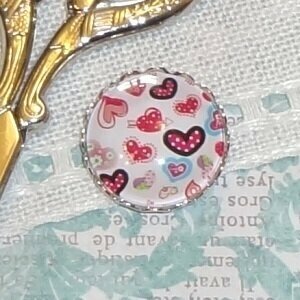 The magnetic back is removable, which allows it to be worn as a pin, and the powerful magnetic surface acts as a needle minder to keep your needles and scissors firmly in place while you work. Measures 1".